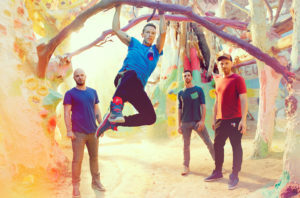 Coldplay has debuted the live version of “Fix You” from their upcoming live album Live In Buenos Aires, as part of the Head Full of Dreams Butterfly Package. The documentary Head Full Of Dreams will be released on November 14th on Amazon Prime and set for a packaged release on December 7th. The Butterfly Package will include not only the documentary and live album, but also a live film titled Live in Sao Paulo, which was filmed a week earlier than the Buenos Aires stop on November 8th in 2017. I for one am I a big Coldplay fan, and I can’t wait to see Head Full of Dreams and listen to the album. It sounds epic already! Who else is excited?